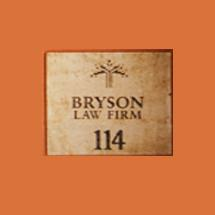 At the Bryson Law Firm, PLC, in Mesa, Arizona, our primary focus is on family law. We know that when our clients face a divorce or have another family law issue, the outcome can greatly impact their lives for years to come. That is why we offer our integrity, our experience and our commitment to excellence to people not only in Mesa, but throughout the East Valley of Maricopa County, seeking attorneys who will listen to them, give them sound legal advice, skillfully negotiate on their behalf and aggressively defend their rights whenever necessary. The attorneys in our law firm are advocates in the true sense of the word. Although we focus primarily on family law, we recognize that people need representation in other legal areas as well. Consequently, we stand ready, willing and able to help those who have suffered an injury resulting from someone's negligence or wrongdoing and those who find themselves facing commercial litigation. Our personal injury attorneys dedicate themselves to obtaining the maximum compensation possible for our injured clients, be that at the negotiation table or in the courtroom. Our commercial litigation attorneys have the knowledge, skill and experience to competently advise and represent small business owners in whatever kinds of challenges and disputes they face, from partnership disputes to contract disputes to business torts such as fraud. Bryson Law Firm, PLC, offers free initial consultations for personal injury cases and accepts all major credit cards for our clients' maximum convenience in paying our reasonable and competitive attorneys' fees.